As we prepare to celebrate another day of Thanksgiving we are reminded of past holidays and the traditions of a day set aside to give thanks for those things most valued in our lives. It’s not surprising that Thanksgiving Day elicits memories of abundant splays of food, drink and jovial comradery of family and friends. The first Thanksgiving, generally credited to have been a celebration of good harvest, took place in 1621, when English Pilgrims at Plymouth Plantation in Massachusetts shared a meal with their Native American neighbors. Since its declaration of an official National holiday in 1939, the second to last Thursday in November is recognized as a time to reflect and express gratitude and appreciation for those many blessings we experience in our daily lives throughout the year. While the day brings a diverse array of memories and celebration for each of us, the Day’s traditions may best be expressed in a poem by Edgar Albert Guest, a 20th century, English born American poet. President John F. Kennedy once said, “As we express our gratitude, we must never forget that the highest appreciation is not to utter words, but to live by them.” At Junction Creative Solutions (Junction) our goal is to live by our words. 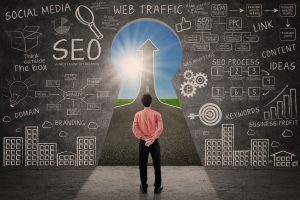 Many online retailers have been reluctant to migrate to Magento 2.0 from the previous version out of fear that the transition will interrupt the pace of their online business. Those who have delayed the migration to the new version are being encouraged to overcome their reluctance since Magento is no longer supporting the older 1.9 version of the popular ecommerce platform. 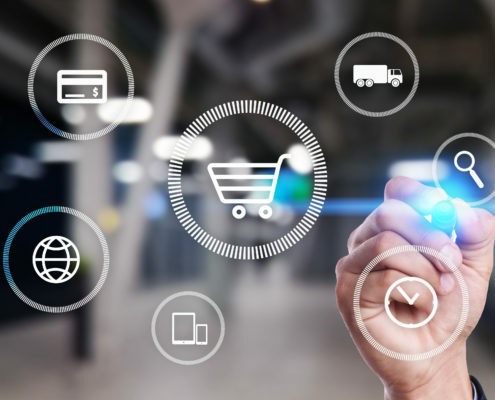 Once considered a novel passing threat, total ecommerce sales exceeded $2 trillion dollars at the end of 2017 and is predicted to reach $4 trillion dollars by the year 2020. The Magento eCommerce platform is fully equipped with a variety of features that provides merchants full control and flexibility over the design, content and functionality of online shops. The latest platform offers Mobile-friendly configuration and is packed with various extensions that can be easily incorporated to fulfill individual business requirements. Earlier this year Adobe Systems Inc. acquired Magento as it strives to create an end-to-end system for designing digital ads, building e-commerce websites and other online customer experiences. The company is seeking to diversify from the digital media products that made it one of the world’s largest software companies. Junction has built a core competency around Magento 2.0 and is experienced at converting existing eCommerce websites using Magento and creating new eCommerce websites that take advantage of the features and functions in Magento 2.0. For more information on how Junction Creative Solutions’ experienced web designers and developers can craft a customized approach to upgrade your ecommerce platform, call 678-686-1125. The Holiday Shopping Race is On and It’s Going Into Extra Laps! 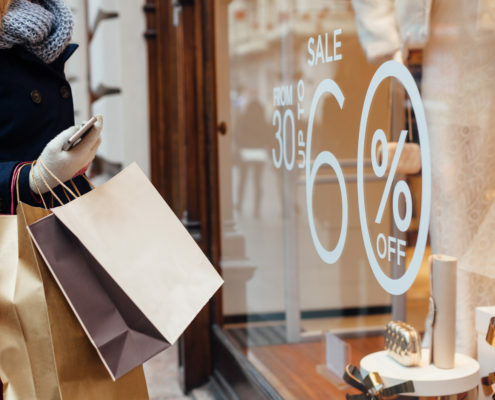 Listen to the chatter from consumers as they peruse local shops and malls across America, and you can often hear passive disdain for how early retailers are gearing up selling efforts for the coming holiday season. Most lament “Christmas already” or “it gets earlier and earlier each passing year.” Marketers appear to be deaf to the sentiments or at best unconcerned. This year major big box marketers are moving up the holiday selling season even earlier, with many launching several weeks earlier than ever before. Traditionally, the day after Thanksgiving was reserved for a massive waving of the “start your engines” green flag, but in 2018 many well-known retailers are off the starting line early in hopes of getting a head start on the competition. In this race there doesn’t appear to be any penalty for jumping the gun. A recent study indicated that 64 percent of marketers began running holiday advertising by Halloween. Most will dump the bulk of holiday advertising spend between Black Friday and Cyber Monday. Nearly 95 percent will commit a significant portion of total advertising budgets by the first week in November. “Retailers don’t focus much of their holiday ad spend on last-minute shoppers, which could be a missed opportunity as it’s a pivotal time to generate brand exposure,” Nanigans said. Consumer spending between Black Friday and the Monday after Thanksgiving will once again spike and is expected to reach $718 billion dollars, according to the National Retail Federation, a 4.8 percent increase over the same period last year. With almost half of shoppers starting their gift searching on Amazon this year, getting the brand out in front of the competition earlier is critical for major retailers wanting to increase their share of the feast. The absence this year of a major toy retailer is changing the dynamics of shopping for those little ones around the house. “With Toys R Us out of business, all of the major retailers, including Best Buy, Amazon, Target and Walmart, are fighting for an increased share of the toy market,” said Philip Dengler of BestBlackFriday.com. “Each has already released holiday toy lists and toy books, and they will all be expanding their selection of toys this year.” Consumers will also find great deals on electronics at stores not typically known for being electronic sales leaders. “It is often possible to get better overall pricing on electronics at Kohl’s compared to Best Buy, Walmart and Amazon when taking into account the Kohl’s Cash,” Denger said. Consumers are expected to turn out in greater numbers than ever before to eCommerce outlets for gift giving purchases. This year, finding an online retailer not offering free shipping will be like finding a drop of fresh water in a desert. It is estimated that online spending will jump $2 billion on Thanksgiving and another $2.5 billion on Cyber Monday. Consumers’ comfort with using mobile smart devices for shopping is boosting eCommerce holiday sales this year. Retailers like Best Buy, Walmart, Target and Amazon planned and initiated promotions earlier this year in an attempt to lure increased clicks. Physical retail outlet shoppers will need to focus on a vast variety of store hours before heading out on a shopping adventure this year. Pounded by consumers in past for opening in the wee hours of the morning or on Thanksgiving Day, many brick and mortar retailers are closed this year on Thanksgiving Day or are delaying openings until later in the day. Consumers will, however, enjoy a longer holiday selling period, as the calendar has offered up an additional week in November. Buckle-up shoppers, the race is on and it’s going into extra laps! http://junction-creative.com/wp-content/uploads/2017/10/logo_header.png 0 0 Susan http://junction-creative.com/wp-content/uploads/2017/10/logo_header.png Susan2018-11-08 09:30:072018-11-07 17:15:12The Holiday Shopping Race is On and It's Going Into Extra Laps!